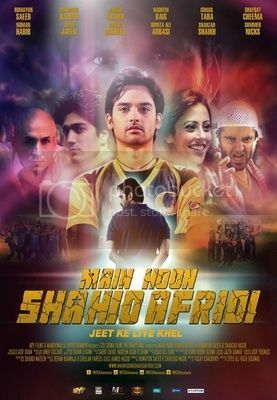 After forty five days of its released in cinemas, Main Hoon Shahid Afridi had done reasonably well in terms of business at the box office. After an initial release on 31 screens, MHSA has earned Rs51.8 million at the box office and is expected to close on Eid at Rs55 million. Based on these statistics, overall film was declared as a big hit of the year 2013. Story of a boy (Noman Habib) who dreams to become Shahid Afridi finds himself down on luck when the only club he ever knew goes bankrupt. With no place else to go he discovers one last chance to save his club, his town and his dream. A cricket tournament coming to Sialkot which may be the club’s last hope. But are they ready yet? A team of misfits with no facility and no coach, can they even qualify for the cup and face the highly skilled undefeated rivals who were born with a golden spoon in their mouths and every facility in their hands? With that question in mind they decide to take help from an ex cricketer Akbar Deen (Humayun Saeed), but Akbar has a dark past of his own. When fates collide and mysteries unfold, “Main Hoon Shahid Afridi” embarks on a journey of Mistrust, Betrayal, Love, Power and Unfulfilled Dreams.